Give a wedding toast your son will remember. Every wedding is different, just as every couple is different, and although mother of the groom toasts aren't the standard, the groom's mother may be asked to say a few words at the reception. Nerves may creep up or you may be overwhelmed, however staying on topic and speaking from the heart can make for the perfect speech. If words are not your forte but you want to say something meaningful and memorable, use classic quotes in your speech. There are many quotes about children finding happiness, mothers and sons and marriage that can aid you in writing the perfect toast. If you have a favorite love quote or are a fan of a favorite line from a poem, use it in your speech. Sometimes quoting a famous line is a great way to convey thoughts and emotion. Give your speech a bit of character by adding a personal and funny story about your son. Something funny that not everyone knows about yet can break the ice for you, calm nerves and gain the guests' attention. If your son was the class clown, share a childhood story. Additionally, if he was always a romantic, share a sweet moment from his childhood; this will give insight into who he is to you and make for an entertaining speech. 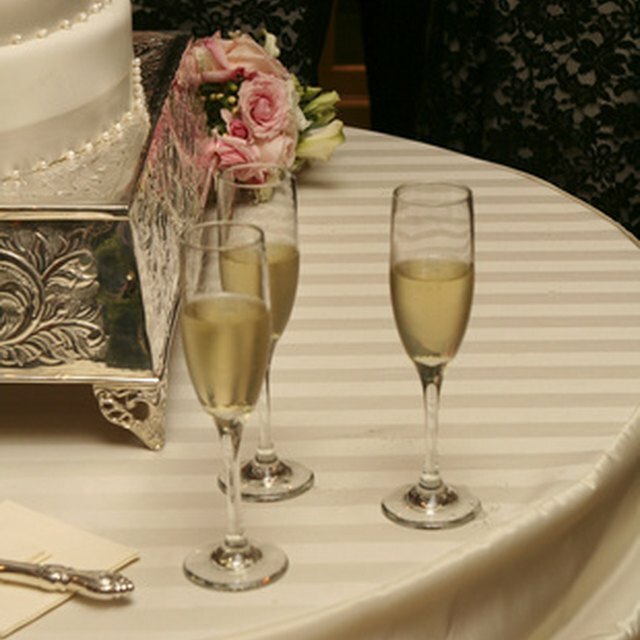 This day is all about your son and his new bride, so why not toast to their new life and their happiness together? Welcome her family to yours in the speech and touch on the moment you knew your son was ready to pop the question. This will delight the bride and her side of the family and set the tone for an open and fun wedding reception. Showing support for your son's marriage and the new adventure he is about to embark on can be done through offering sage pieces of advice in your speech. Use personal advice from your marriage or little advice on love. Ask older grandparents for their key to success or offer a funny tidbit. Whether the advice is heartfelt or humorous, it will leave a lasting impression on your newlywed son and his bride.